Dalco realizes that on-site maintenance is one of your greatest challenges and costs. Dalco will provide you with honest answers and advice regarding on-site corrosion prevention options. Does it feel like you’re constantly dealing with the same repair issues? Dalco can help develop a maintenance coating program that will minimize metal loss and extend the life of your assets. Regardless of what corrosion prevention measures have been put in place all coatings eventually need repair and/or replacement. 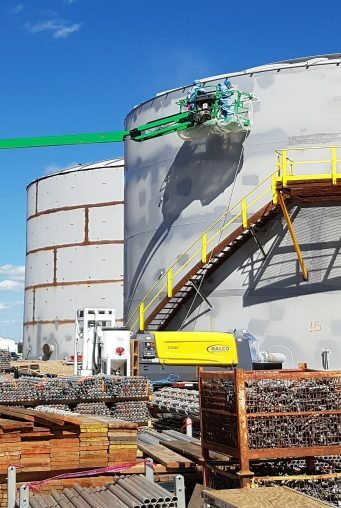 Dalco’s field crews have extensive on-site experience; performing everything from minor coating repairs to full liner replacements on any size or configuration of tank or vessel. Want an expert opinion on what may be required at your site? A NACE Certified Coating Inspector manages every project from estimation through completion. If required, they perform complimentary pre-estimate on-site inspections to determine the condition of existing coatings and make recommendations regarding repair or replacement. During field application work, Dalco By BrandSafway knows that communication is crucial to ensure jobs run smoothly. Project supervisors report daily on project progress, indicating any delays, setbacks or changes in scope of work, giving you piece of mind. Exchangers are vital to your process, costly to replace and highly susceptible to corrosion. Dalco has developed a process to blast and spray coat exchangers which has proven extremely successful in extending the life of these assets. Several clients have requested Dalco create exchanger maintenance programs to minimize metal lose and replacement costs at their facilities. 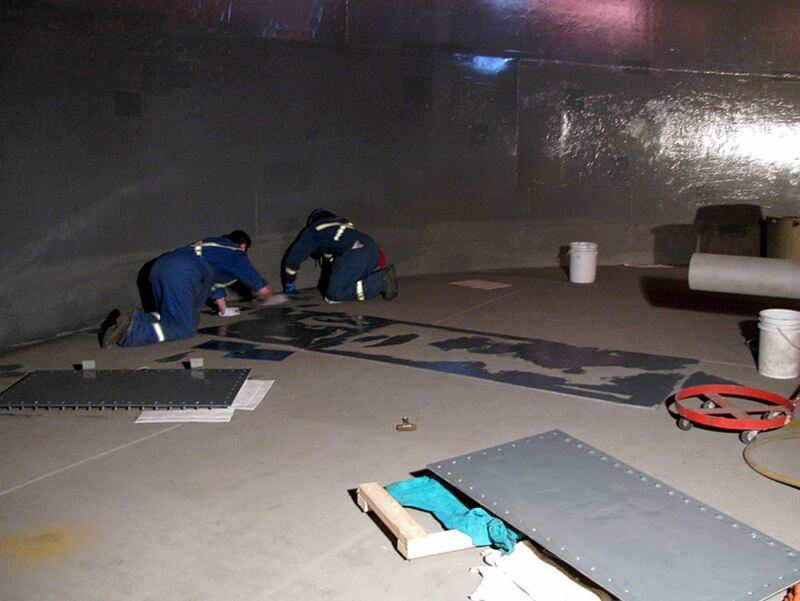 Proper surface preparation is vital to coating performance. 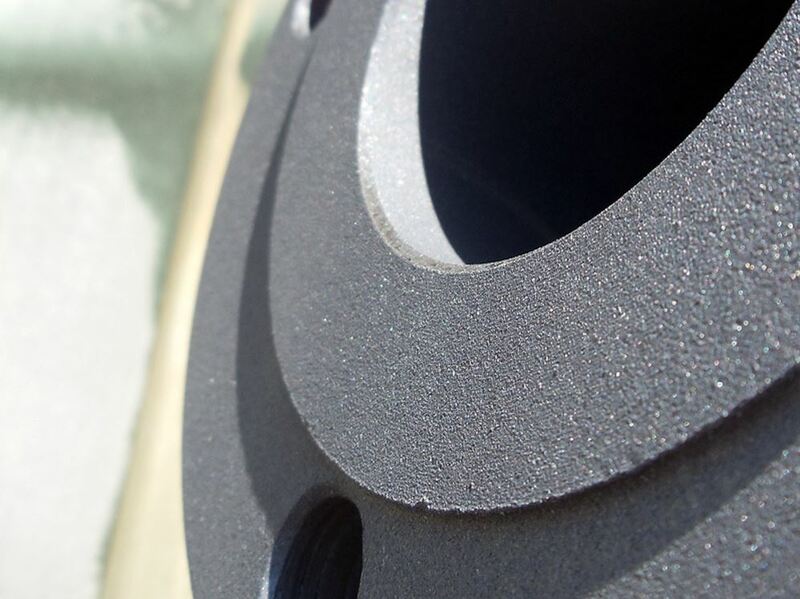 When working on-site there are many factors that make surface preparation very challenging. 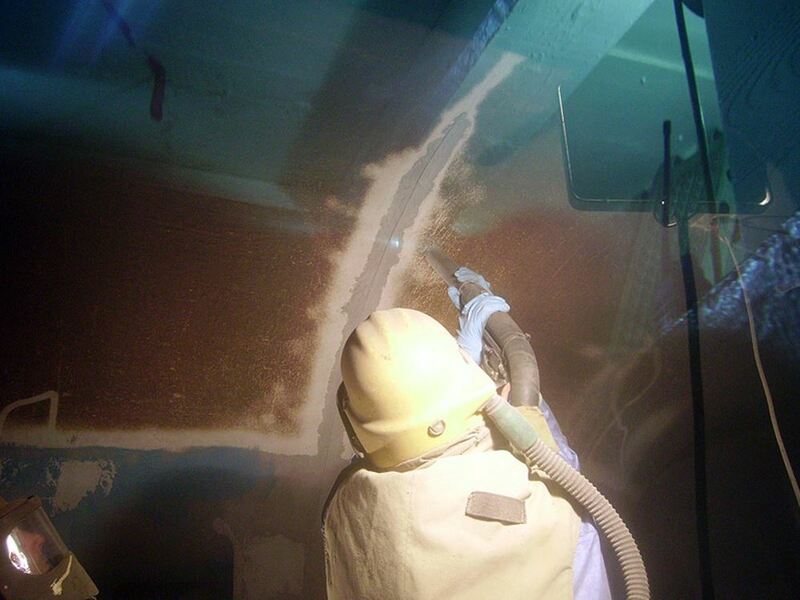 Dalco has a fleet of abrasive and sandblasting surface preparation technologies to satisfy every project’s unique needs. 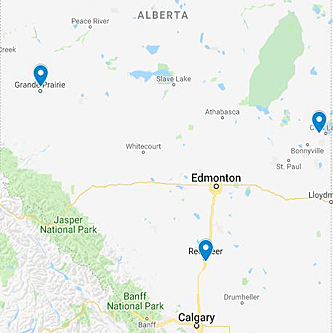 Dalco is the Western Canadian distributor of Sponge-Jet low-dust abrasive blasting technology. Sponge-Jet allows for surface preparation in sensitive areas, when other trades need to work in close proximity or when dust may become an issue. The abrasive is recycled 10-12 times resulting in a fraction of the waste and transportation costs over conventional blasting. 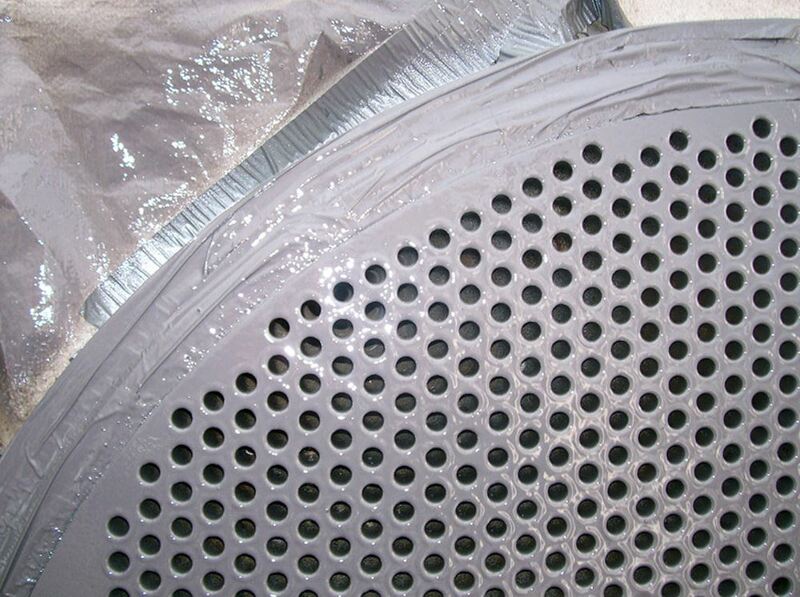 Dalco’s shot blasting system is the most efficient way to remove difficult floor coatings, such as fiberglass. 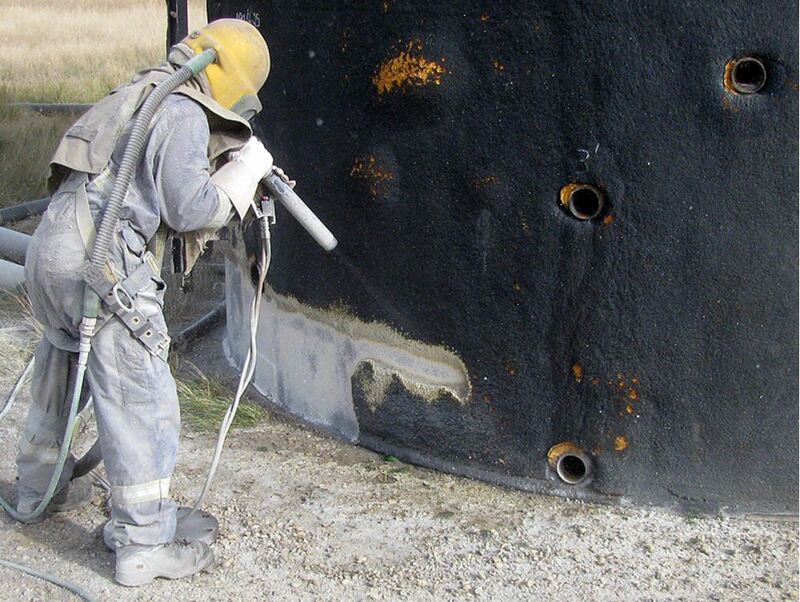 When preparing small areas of steel or field welds, full abrasive blasting equipment is often too much. Bristle Blasters permit surface preparation of small areas, allowing Dalco crews to efficiently solve even small maintenance issues. Dalco also offers conventional abrasive blasting technology equip with conventional abrasives that will meet your site’s requirements. Dalco owns and operates 12 mobile abrasive sandblast trailer rigs. These units are equipped with a sandblast pot, compressor, air dryer, SABA, and fully furnished tool box. This turnkey unit allows Dalco to arrive to site and be safely set up to begin sandblasting in as little as 1 hour.